Having thoroughly enjoyed C.J. Tudor's The Chalk Man a few months ago, I was expecting equally great things from her new novel, The Taking of Annie Thorne. I wasn't disappointed. In fact I thought this new book was even better than her last. C.J. Tudor has a fantastic ability to conjure up the past with complete accuracy. You really do feel transported back in time. 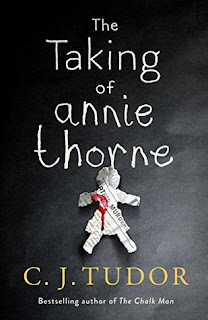 The Taking of Annie Thorne contains humour and horror in equal measure and I found it exceptionally difficult to put down. The supernatural element took it to a whole new level of tension-filled creepiness that I adored. This author is one to watch. A bright new talent in British fiction. C.J. Tudor lives with her partner and young daughter. Her love of writing, especially the dark and macabre, started young. 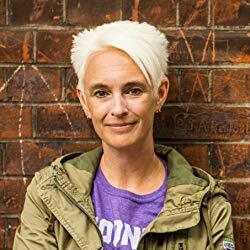 When her peers were reading Judy Blume, she was devouring Stephen King and James Herbert.